Our remanufactured desks, tables, and cubicles are an affordable alternative to new furnishings. We offer serveral remanufactured workstation options. Cubicles are a perfect blend of shared office space with personal privacy, answering the needs of both employer and employee. Bern Office Systems invites you to check out our featured products by Lacasse and more. 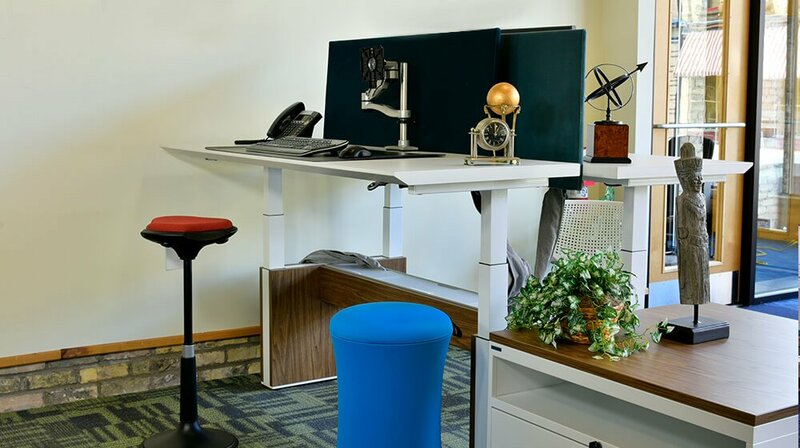 At Bern Office Systems, we don’t just provide the most affordable office furniture; we also offer valuable Milwaukee office space planning, design, and installation services. As part of our family business values, we are willing and ready to help you with any aspect of your office needs. We remanufacture office furniture and workstations for a cost-efficient office update without spending on unnecessary additions. We specialize in every aspect of the office furniture industry, including remanufacturing and refurbishing services. Our office planning goes hand-in-hand with our interior design skills, providing you with an efficient and stylish work area. 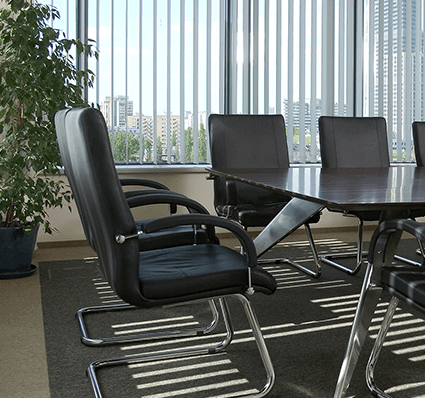 We want to help you get your office ready for business when you need furniture installation and reconfiguration. Imagine your growing business has to bring in a new hire but you don't have room for any more desks. 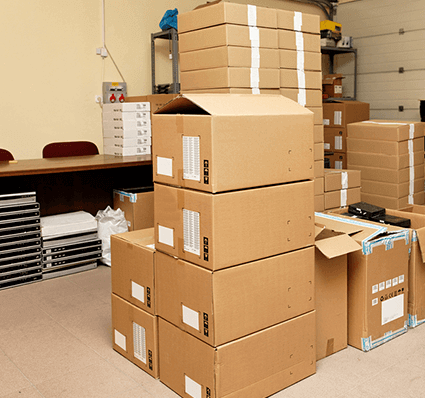 Our custom moving services allow us to make your office transition as smooth as possible without shutting down your business. Bern Boys gave our company a beautiful and relaxing environment. Our employees are more responsive and happier in the office since. How Can We Revitalize Your Office Atmosphere? For a complimentary office assessment for your company, please contact us today. At Bern Office Systems, we pride ourselves in our commitment to satisfying each and every customer. Since the business was founded in 1946, we have stayed true to this commitment. As a family owned and operated business, we have built a reputation for providing the most dependable and affordable office furniture on the market. Since the very beginning we have treated our customers like family by offering the best prices for new and used Milwaukee office furniture. We will always find a solution to your office furnishing needs within or under your budget. Expect to feel like part of the family when you work with the boys at Bern Office Systems! 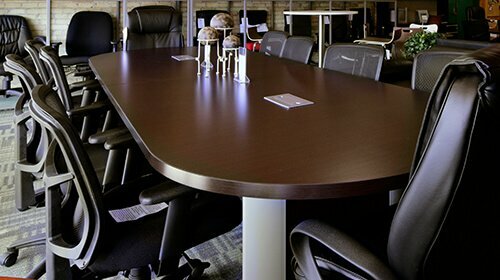 Our many years of experience in the Milwaukee office furniture industry have come together to help us become the most extensive resource for all of your office furnishing needs. Whether you are looking for brand new Milwaukee office furniture, attractive remanufactured workstations, or dependable used furnishings, we have what you need. Our competitively priced new and used office furniture will help you revitalize and update your office at the most cost-efficient prices. 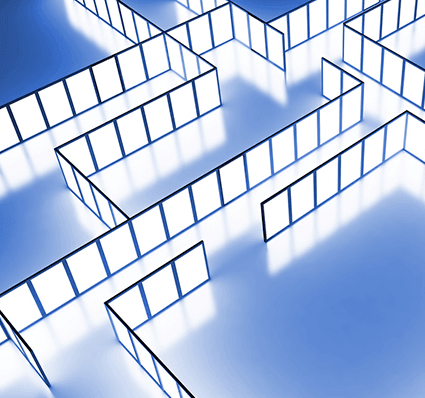 We have everything our customers could possibly need to set up an office of any size or necessity. Let us know what office furniture you need along with your preferred budget and we will ensure your satisfaction. We are dedicated to finding an affordable solution to any office needs you have. Whether you are in search of ergonomic office furniture to keep you comfortable or wood office desks to add class to your business, the boys at Bern Office Systems can help! Bern Boys have always been ahead of the curve when it comes to supplying the latest and greatest in office furniture trends. We now offer standing desks to increase worker productivity and to promote better office health. 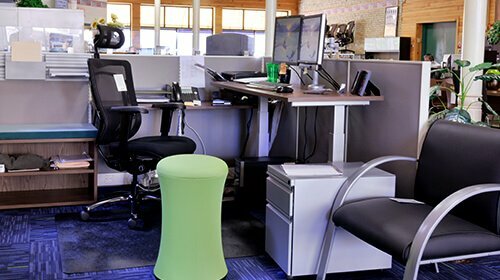 Sit-to-stand furniture keeps employees from sitting for 8 or more hours a day and is now more affordable than ever thanks to Bern Office Systems. 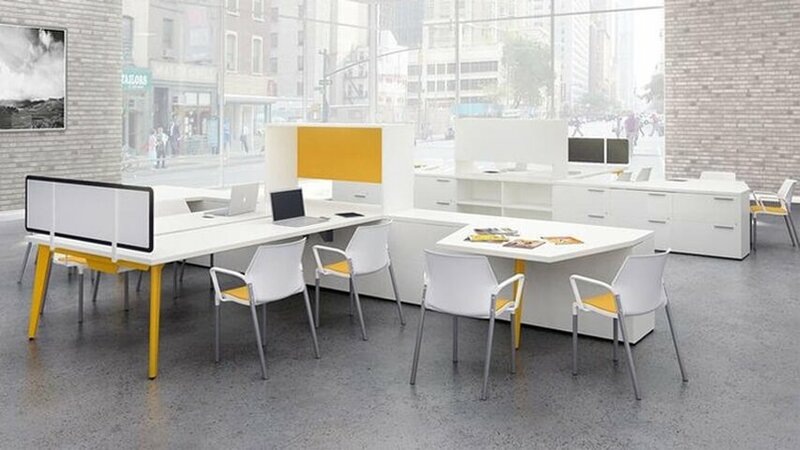 Whether you’re in the market for a complete office makeover or just need a few pieces, Bern Office Systems has it all. From new furniture to remanufactured and used furniture, we have a huge selection of the highest quality and most affordable furniture. 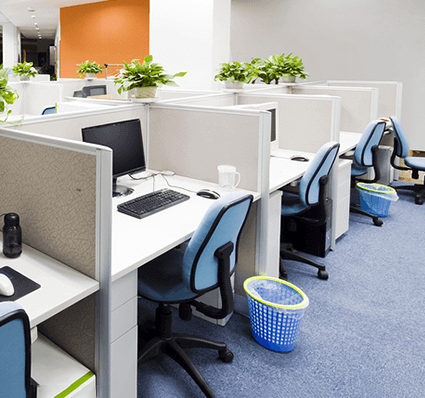 Office chairs, office tables and cubicles are available along with used office desks and cubicles. Spend your budget elsewhere and rely on the office furniture experts to economically design a functioning and attractive office setting. 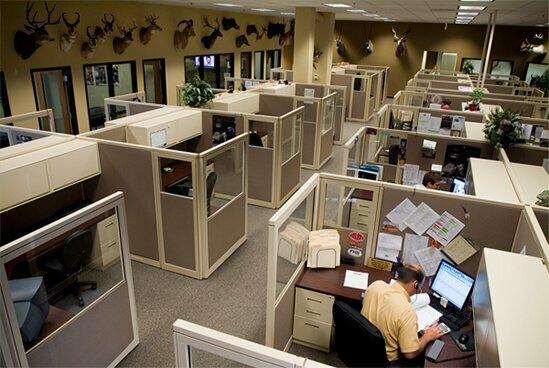 At Bern Office Systems, we don’t just provide the most affordable office furniture; we also offer valuable Milwaukee office space planning, design, and installation services. As part of our family business values, we are willing and ready to help you with any aspect of your office needs. We remanufacture office furniture and workstations for a cost-efficient office update without spending on unnecessary additions. 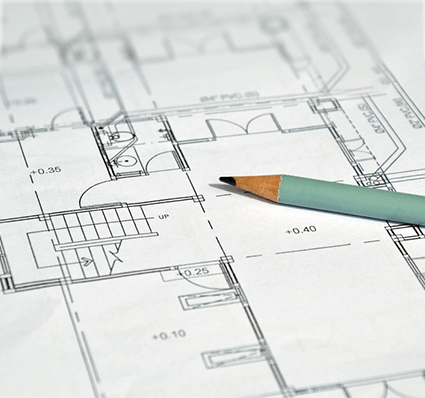 Our years of experience and knowledge makes us uniquely qualified to offer space planning and office interior solutions, ensuring you save money while getting the most out of your office furniture service. We do what it takes to make our customers happy. With no design contracts or annoying sales ploys, you can count on the boys at Bern to help you get the most out of your new and used Milwaukee office furniture. 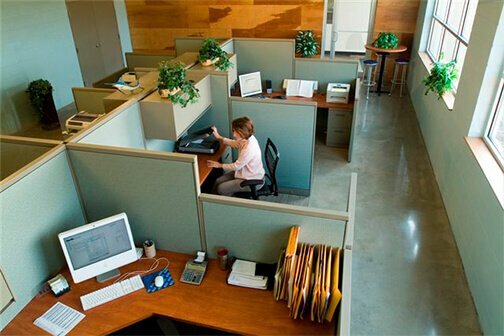 For the most affordable remanufactured workstations, new and used office furniture or office planning services.